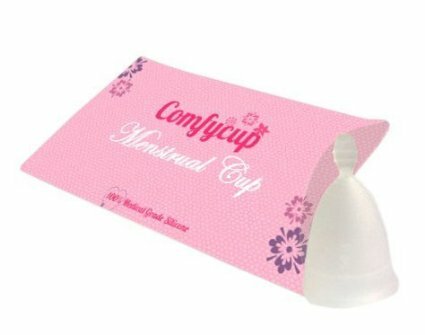 In spite of “Comfycup”’s lack of a brand name, it was thoughtfully designed with the comfort of wear in mind. It is made of medical grade silicone but has no seems, which may make it more comfortable to wear or insert. Users also report that it is softer and more flexible than other brands of menstrual cup which many find to be more comfortable. (Increased softness and flexibility may also cause difficulty keeping the cup in place for some women). The stem is flat with ridges for ease of removal. It has all required certifications for medical acceptability but costs significantly less than comparable menstrual cups. The one downside is that it is not widely available online outside of the UK.